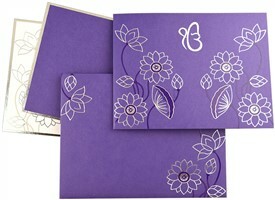 “Ik Onkar” symbol adorns the main card. 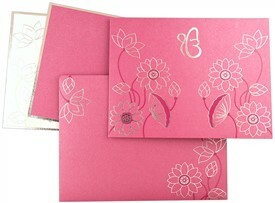 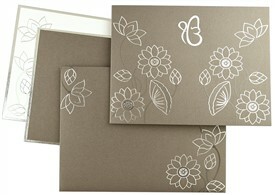 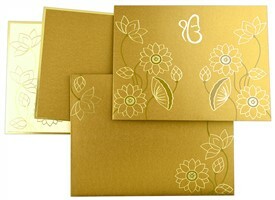 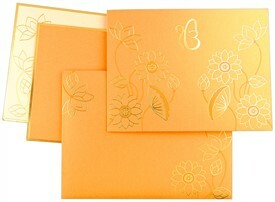 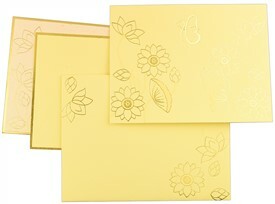 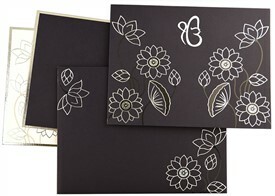 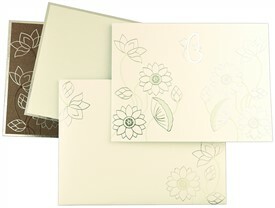 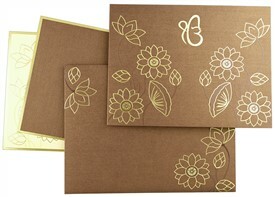 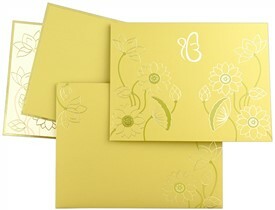 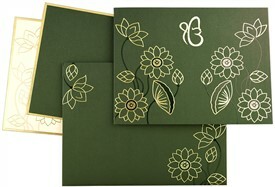 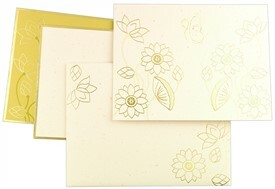 Foil printed silver floral motif border beautifies the envelope, main card and inserts. 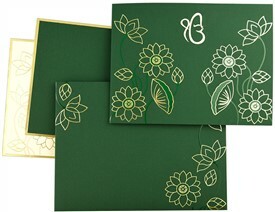 An exceptionally beautiful invitation! 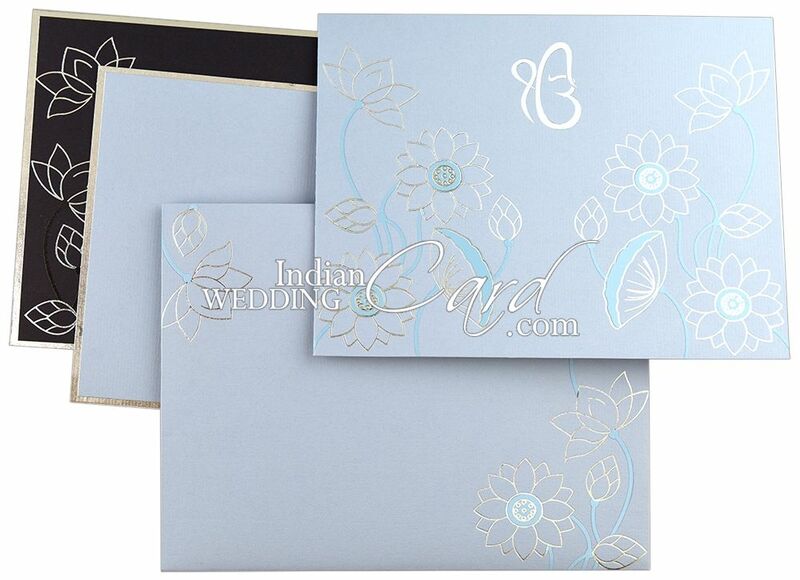 Light blue textured paper (250 gsm) for main card, envelope and 1 insert. 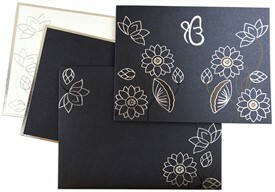 2nd insert in dark blue textured paper (250 gsm).